30 DAY JOURNEY TO A HEALTHIER YOU! Hello Everyone!! So many of you have been following me for some time now, and you have read my post about health and fitness and my transition from a 203 pound beauty to a 169 pound beauty. That is a 34 pound weight difference. 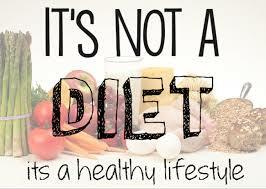 However It is much more than just watching what you eat and becoming fit by working out etc. While yes that has ALOT to do with it. There are other factors. Overall health and fitness requires complete detox, mentally, emotionally, spiritually and physically. The change people see in me is more than weight loss, its my overall attitude about life, the release of past burdens, issues, unhealthy relationships, old friendships that didn’t grow or push me to my better version of myself. I had to remove all of those things! I began meditating, reading alot more, writing more, and practicing an overall gratitude filled healthy life. So yesterday i began a 30 day challenge! One that took people on the journey of becoming an overall better version of themselves. What will You learn in these 30 days? and how is it any different that my previous posts regarding health and fitness? food/and physical fitness wise. I will help you to grow mentally, release emotional baggage and grow spiritually ( NOT religiously) to gain a deeper understanding of yourself. Most people don’t understand that all of these things contribute to a healthy lifestyle. Especially since many are emotional eaters. Once you recognize the things that stress you, make you happy,etc you will be able to make better decisions. It all starts with you knowing you and changing from the inside out. In the next 29 days, you will find post about MENTAL HEALTH, FITNESS TIPS, HEALTH AND WELLNESS, ADVICE ON BETTERING YOUR RELATIONSHIPS, RECIPES, BOOKS TO READ, AND SO MUCH MORE! Im totally excited that you all are taking this journey and i cant wait to see the results!!! In the meantime below are some links to previous blog post regarding fitness!! Talk to you all tomorrow! ← Why I Am Determined To Live EVERYDAY Like It Will Be My Last………..
this site dailly and obtain pleasant data from here everyday. this website with us so I came to give it a look. I’m definitely loving the information. I’m bookmarking and will be tweeting this to my followers! sensible. I can’t wait to read much more from you. This is actually a terrific site. Hello, I desire to subscribe for this web site to take hottest updates, therefore where can i do it please help out. I think the admin of this web page is in fact working hard in favor of his website, because here every stuff is quality based information. website, how can i subscribe for a blog website? The account helped me a appropriate deal. just cool and i could suppose you are a professional in this subject. updated with coming near near post. Thank you a million and please continue the gratifying work. fresh spin on a topic that has been discussed for ages. go oer the same subjects? Many thanks! leisure account it. Look advanced to more added agreeable from you! problems. When I take a look at your site in Safari, it looks fine but when opening in IE, it’s got some overlapping issues. I will look into it !